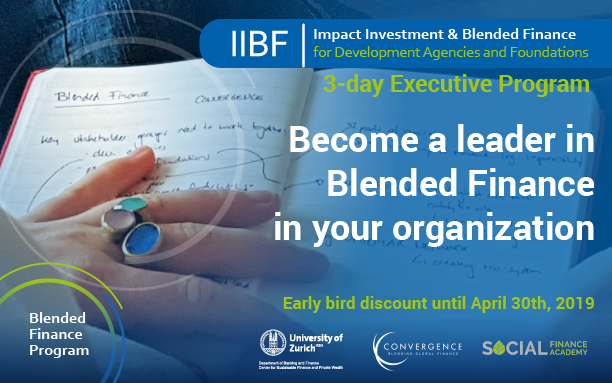 From August 28 to 30, Convergence, the Social Finance Academy, and the University of Zurich Center for Sustainable Finance and Private Wealth (CSP) will organize a Blended Finance executive program with support from the Swiss Agency for Development and Cooperation (SDC). The program is targeted at development agencies, public or multilateral organizations and foundations with a focus on international development. Eager to learn how to use public funds to attract private investment for high-impact enterprises addressing the SDGs? Click here to learn more about the program.